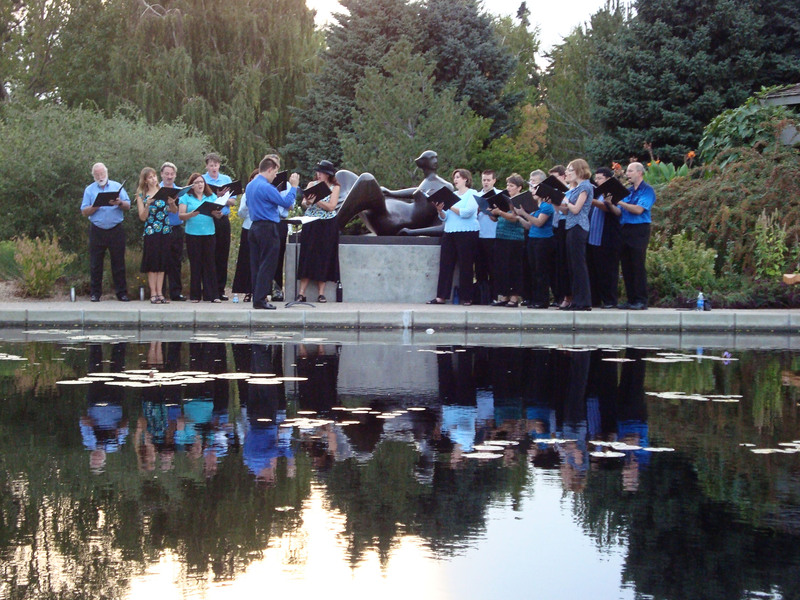 The mission of St. Martin’s Chamber Choir is to perform classical choral music to the highest professional standards, and to inspire appreciation of the choral art by educating audiences and the wider community. In its first 20 years its standard of excellence has placed St. Martin’s Chamber Choir at the forefront of the performance of classical choral music, with an emphasis on a cappella repertoire at a high artistic level. Your support is critical to us. Gifts from our individual donors are an essential, very significant and greatly appreciated source of our income. We all know that singer’s instruments are their very own voices. We need you to support this outstanding company of singing musicians by making a generous gift today. Here’s how! Gifts from individuals play a very important role in St. Martin’s Chamber Choir’s ability to maintain the highest artistic standards. Using a PayPal account or credit card. For the latter, enter your gift amount and then click on “Don’t have a PayPal account?”. By telephone. Call to make a credit card gift by telephone: 303-298-1970. Thank you for supporting St. Martin’s Chamber Choir. Your gift is very important to us because it will help us to continue bringing you the extraordinary choral works sung by the exquisite voices of St. Martin’s Chamber Choir. All donations to the St. Martin’s Chamber Choir Annual Fund are 100% tax deductible. We couldn’t do it without friends like you! The Italian phrase da capo has to do with a repeat. Da Capo donors have authorized that a donation to St. Martin’s comes directly from their checking account or credit card on a regular basis (usually monthly) through a secure provider. These regular donations happen automatically and conveniently, and often allow donors to give more over the course of a year than by a lump-sum check or charge. Setting up “electronic funds transfers” (EFT) is quick and easy. Call the St. Martin’s office to set up this kind of giving. Sponsorships allow a donor to receive name recognition, honor or memorialize an individual, and support the work of St. Martin’s Chamber Choir at a significant level. It is possible to sponsor a season, a concert set, or an individual singer. To learn more about becoming a sponsor, please contact the General Manager at 303-298-1970 or by e-mail at info@StMartinsChamberChoir.org. Gifts made through wills and estate plans from individuals also provide general support for St. Martin’s Chamber Choir. Gifts made by naming St. Martin’s Chamber Choir as a beneficiary of an IRA, 401K, savings account, life insurance policy or donor-advised fund support the financial needs of the future. All types of gifts noted above can bring significant tax benefits, whether to you personally or to your estate after your death.